dry season and go explore paradise. views and challenging trails. While most of the hiking trails on Mt. Rinjani were damaged in the 2018 earthquakes, one trail has reopened. adventurous travelers in search of epic views. around the stunning Gili Islands. These islands are known for scuba diving cruises and offers a chance to truly get away from it all. experienced divers to explore. You might even see a whale shark or two. Lombok, it is a cave like no other. begin their nightly hunt for food. If you’re a fan of sea turtles (who isn’t? ), be sure to check out the sea turtle conservation initiatives at the Gili Islands. predators to help release the precious hatchlings into the sea. conservation, as it depends entirely on donations from visitors. Islands. Gili Air is especially known for green sea turtles at Han Rock. endless sands to reconnect with yourself, one day at a time. 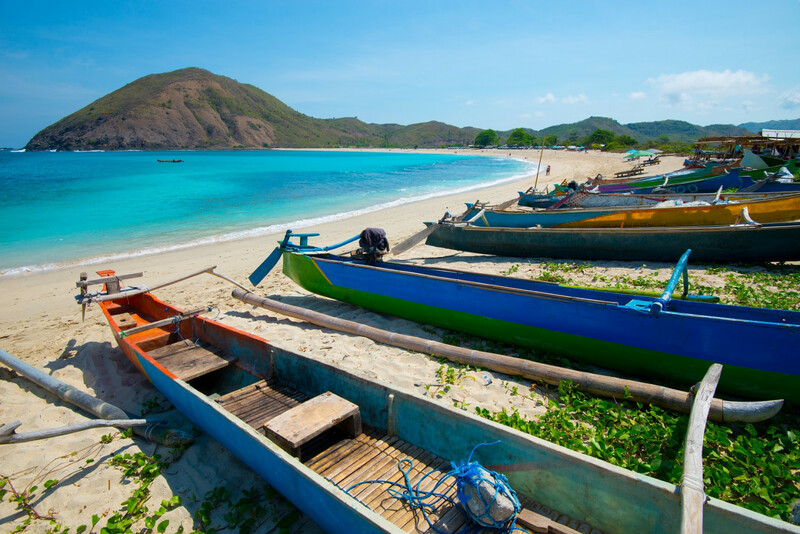 capture panoramic views of the other Gili Islands, plus Lombok and Bali. It will be well worth the effort, as you’re likely to spot sea turtles. You can even try spotting the tiny pygmy seahorses. the best view of the sun setting that you’re ever likely to see. The Son Doong Cave in Quang Binh Province is among the most incredible places in the world recently found, The Telegraph says. The cave, part of the Phong Nha-Ke Bang National Park in central Vietnam, is the world’s largest, but it did not feature on Vietnam’s tourism map until it was opened for tourists in 2013. The Telegraph has included the once-hidden cave on the list of 11 newly-discovered places that are worth an amazing exploration journey. Son Doong opened to tourists in 2013, four years after members of the British Cave Research Association concluded their initial exploration and declared it the world’s largest cave. The five kilometer-long system, which is 150 meters high and 200 meters wide, contains at least 150 individual caves, a dense subterranean jungle and several underground rivers. Due to limited space, registration for Son Doong tours must be made well in advance. According to Oxalis, now the only company licensed to bring tourists to the cave, only 300 spaces are available for 2019 tours. A four-day expedition costs $3,000, and there are bus routes running from Hanoi to Dong Hoi, the capital town of Quang Binh, and then to the park. The Quang Binh government recently raised the limit for number of tourists allowed to visit the cave from 640 to 900 a year. Other incredible places that are recent finds include the Pico da Neblina mountain in Brazil, Xianren Bridge in China, Cape Melville in Australia, Machu Picchu citadel in Peru and Mount Mabu in Mozambique. 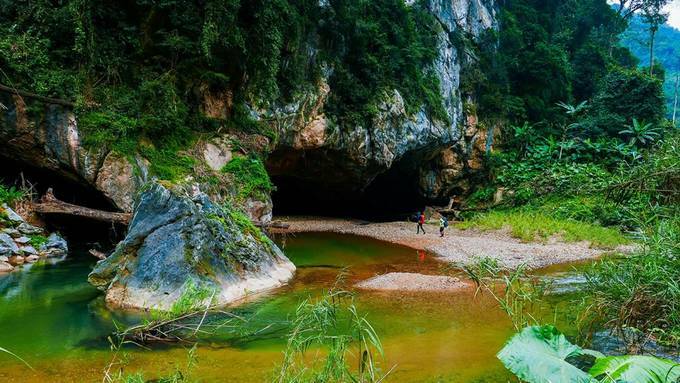 Last month, the U.K.-based travel guide publisher, Lonely Planet, named Son Doong Cave in Quang Binh among the best places to visit in 2019. The province of Kratie, in the country’s east, is poised to become a priority tourist destination and a national heritage site.Tourism Minister Thong Khon on Monday unveiled plans to turn the province’s capital into a “prime tourism destination” and a “heritage city”. Prime destinations are important attractions but are not as crucial to the tourism sector as the country’s main tourist draws – the Angkor Archaeological Park in Siem Reap and the coastal areas. Minister Khon said the decision to turn Kratie into a priority destination and a heritage site was based on the city’s many tourist attractions, particularly the dolphins that can be spotted in the Mekong River.“If there are dolphins in the Mekong River, there are tourists; however, no dolphins, no tourists,” Mr Khon said. Other noteworthy products and sites in the province with great tourism potential include the Koh Trong pomelo, colonial buildings, stunning river beaches, and a slew of eco-tourism sites, the minister said. He reminded the city’s authorities of their responsibility to boost the quality of these products and sites to meet and exceed tourists’ expectations. “We must continue improving the quality of services and products in the province and create new tourism products,” he said. “We must work hard to develop Kratie province into a prime destination and a heritage site, organise new events on the beach and in the river, keep the city and the province clean, improve hygiene in public toilets, and protect the environment,” Mr Khon said. “Tourism officials must also strive to improve tourist boats so that they offer a quality service, and drivers must wear proper uniforms,” he added.Mr Khon told Kratie’s provincial tourism department to focus on revamping infrastructure like tourist booths, parking areas, and public toilets while improving services and products at stores, tourist boats, restaurants, and food courts. Chuk Chumnor, spokesperson for the Ministry of Tourism, told Khmer Times that the government also wants to turn Battambang and Kampot into heritage sites. He said the ministry is working with Unesco to register these cities as national heritage sites first, and world heritage sites at a later stage. “We are also working with Unesco to register Kratie city as a heritage site, together with Battambang and Kampot. These three cities boast beautiful French buildings,” Mr Chumnor said. “We are committed to strengthening the quality of tourism services and products, social order and security as well as improving eco-tourism sites in the province,” Mr Chumnor said. 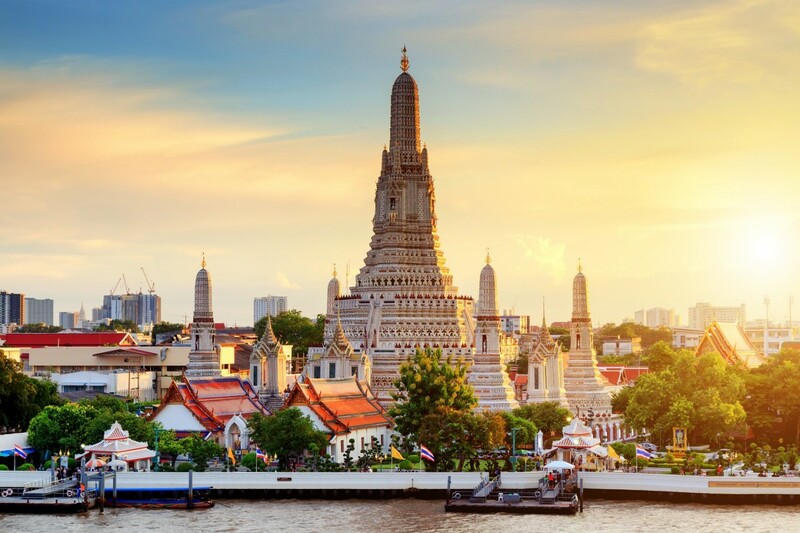 Thoun Sinan, chairman of the Cambodian chapter of the Pacific Asia Travel Association, said the priority destination scheme is a strategy that aims to increase opportunities for socioeconomic development through tourism investment and development. “To develop these priority destinations, the Ministry of Tourism, in close cooperation with the Ministry of Culture and Fine Arts and Unesco, has studied and produced the necessary documentation to register these cities as national heritage cities and Unesco world heritage sites. “Battambang, Kampot, and Kratie could become world heritage sites, which will draw public attention to them and help develop them in a sustainable manner while preserving their urban and natural heritage,” Mr Sinan said. Last year, Kratie province welcomed about 349,000 visitors, a 15.2 percent year-on-year increase. 25,990 of them were foreigners, mostly French nationals, according to the Ministry of Tourism. Siem Reap will be home to a $70-million aquarium and wildlife sanctuary project that seeks to become a new tourist draw for the province. Angkor Wildlife and Aquarium, a joint venture of Cambodian, Japanese and US investors, announced the project on Monday during a meeting with Siem Reap’s governor Tea Seiha. 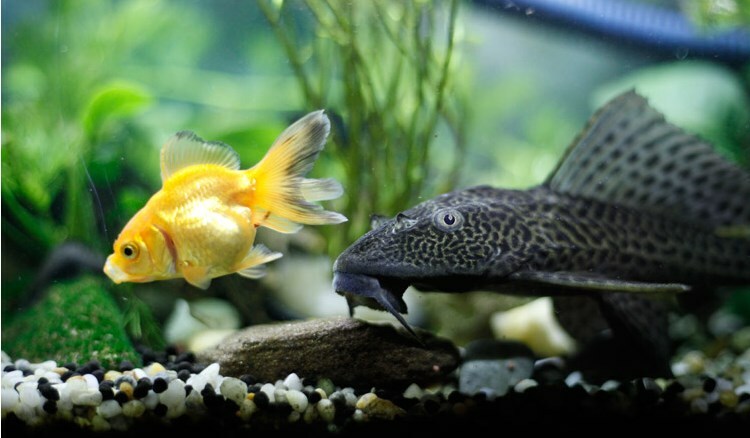 Roger Reynolds, member of the board of directors at Angkor Wildlife and Aquarium, said the project will comprise freshwater and saltwater fish displays as well as a wildlife sanctuary. The project will be located on 100 hectares on land in Sout Nikom district. “The project will provide employment for many local people,” Mr Reynolds said. “It is divided into three phases. Phase 1 will use $20 million. Construction of this phase will start in March and will be operational by the end of 2020. “Besides helping to develop the national economy, the project will educate local and international visitors about the environment and the conservation of natural resources by introducing guests to rare aquatic species so that they can see and understand the natural resources of the country,” Mr Reynolds said. Mr Seiha said Siem Reap welcomes the project. The easternmost province is a top choice for adventures and to enjoy the beauty of nature including some out-of-the-world landscapes.Phu Yen, located on the south central coast, is the first point on the Vietnamese mainland to welcome the sun every morning. It has a diverse topography consisting of mountains, rivers, lagoons, bays, and islands and a myriad of beautiful natural sights for visitors to explore. 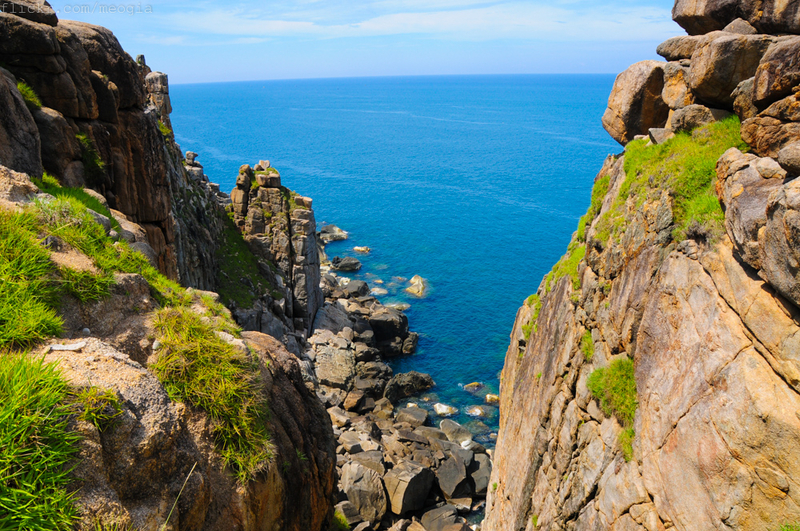 Phu Yen’s sunny season is from January to around August, and is perfect for sightseeing. There are also lots of local festivals during these months, so remember to check their dates if you want to see them.But April and May can be quite hot, so visitors who choose to go during this period should be mindful and take sun-protection gear and water. From May until the end of July is the peak domestic tourist season, and during this period Phu Yen can get pretty crowded. It might not be an ideal time for those who prefer a quiet and relaxing holiday. Dai Lanh Cape, around 35km from Tuy Hoa, the capital city of Phu Yen, is the first place in the country where the sun rises. 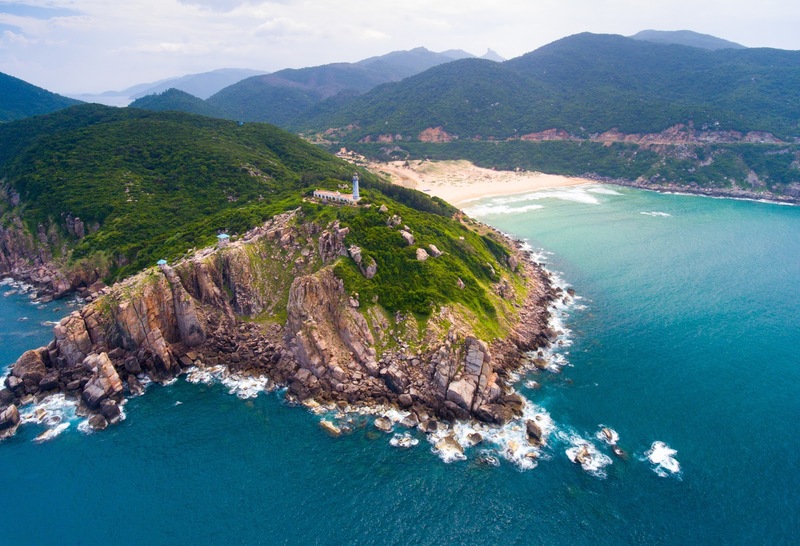 The best spots to catch the sunrise from are up the lighthouse or on Mon Beach, both spectacular places.Visitors can spend the night at Mui Dien lighthouse, and, when the time comes, take in the view of the bay and the ocean wide open right before their eyes. The feeling when standing on the top, with the wind carrying the smell of the ocean and caressing your skin and hair, and watching the spectacular scene unfold is indescribable. Camping on Mon Beach for the night and waiting for the sunrise can be an unforgettable experience. The beach is located behind Dai Lanh Lighthouse. Vung Ro spreads over an area of 16.4 square kilometers, with beautiful beaches and the ocean on one side and forested mountains like Deo Ca and Hon Ba, and the highest peak, Da Bia (Tombstone Mountain), on the other.It is situated in the commune of Hoa Xuan Nam, Dong Hoa District, at the edge of Ca Pass. The drive, whether from the south or north, is extremely scenic. The coastal road offers a magnificent, unbroken view of the bay’s blue waters, fishing villages, the craggy pass, the green mountains, and the white sandy beaches. There are hundreds of floating homes, fish farms and wooden fishing boats in the main bay. From here, visitors can take a boat to visit seafood farms, try to be a fisherman for a day and learn how locals catch lobsters or go catching fish or squid. The seafood at the floating restaurants here are obviously as fresh as it possibly can be as it goes straight to the kitchen from the floating farms around. Some beers while floating on the blue lagoon, and this becomes an experience one just should not miss. There are also other recreation options such as jet-skiing, snorkeling and visiting historical relics for visitors. Vung Ro Bay has 12 beautiful, pristine beaches such as Lach, Mu U, Chua, Chan Trau which are perfect for a refreshing dip in the cool, clear water or just unwinding in a tranquil, quiet place on the white sand. 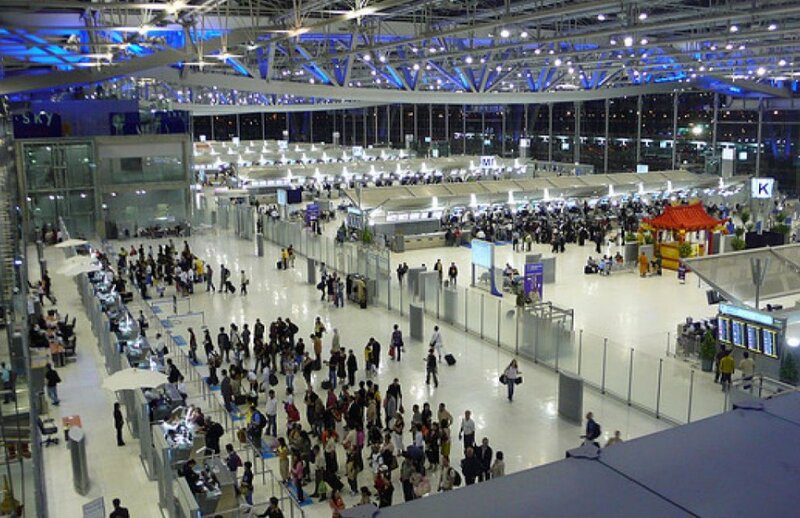 Smoking is no longer allowed inside the passenger buildings at six of Thailand’s main airports. As of Sun, Feb 3, Suvarnabhumi, Don Mueang, Chiang Mai, Phuket, Hat Yai and Mae Fah Luang airports, all operated by Airports of Thailand Plc (AoT), have been declared no-smoking zones with fines of up to B5,000 (around US$160) for any violators. affected by the change, exceeded 100 million in 2018. Each year, Koh Paen residents built a seasonal, kilometre-long bamboo bridge for cars and pedestrians to cross the Mekong when the water levels were too low for a ferry. Connecting the island of Koh Paen to Kampong Cham city in Kampong Cham province is a giant 779m concrete bridge, opened in March last year, able to carry loads of 20 to 30 tonnes across the Mekong river.Is it functional? Perhaps. Does it have any charm? Absolutely not. But 2km south down the Mekong used to sit another bridge fulfilling a similar function, less robust and practical, but exuding an antiquated charm by anyone’s estimation. 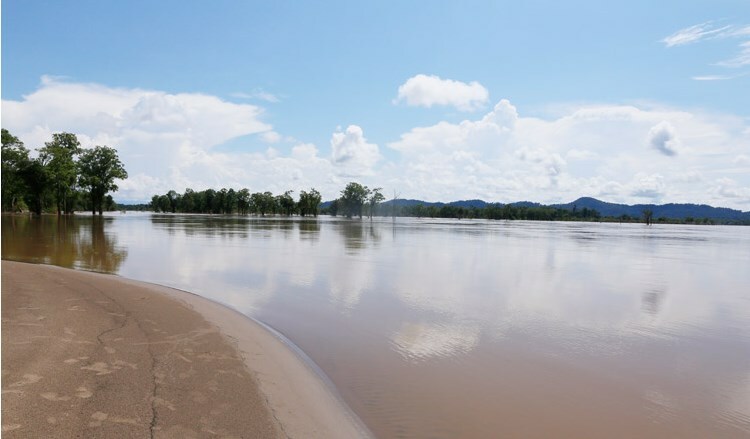 Each year, for decades, the island residents of Koh Paen built a seasonal, kilometre-long (1,000m) bamboo bridge for cars and pedestrians to cross the Mekong when the water levels were too low for a ferry. And each year, when the rains swelled the river, the elements would tear it down again. For local residents, the bridge was a backdrop to daily life since they can remember – only disrupted between 1973 and 1986 with the civil war and emergence of the Khmer Rouge – though the specific history of the bridge remains hard to pinpoint. Prior to 1973, the bridge was owned collectively by a company established by 14 villagers from the island, according to 74-year-old Nai Seang, speaking to The Post back in 2017. She joined the company in 1964, purchasing two shares for 7,000 riel (approximately $1,500 after adjusting for inflation). Back then, the bridge was only a foot and bicycle bridge built from locally sourced bamboo, with a 1 riel toll for pedestrians, or 2 riel for a bike (equivalent to $0.19 and $0.37 today, respectively). As the youngest in the company when she joined at the age of 22, she was the sole surviving member. The bamboo bridge also serves as a major tourist attraction for both local and international visitors. “The knowledge would be passed down from one generation of builders to the next,” she said. While Seang says she never asked the older members of the company about the bridge’s history, she remembers it when she was an infant, which indicates that it dates back to at least the 1940s. That the bridge has become a tourist attraction was a strange curiosity for Seang. “I did not know the bridge has become such a tourist attraction. I was very young when I bought my shares, and to me it was just a thing that helps people cross the river, and a business,” she says. But back in March last year, as the concrete monolith neared completion, for the first time in decades the residents of Koh Paen decided against building their bridge as a river crossing for vehicles. 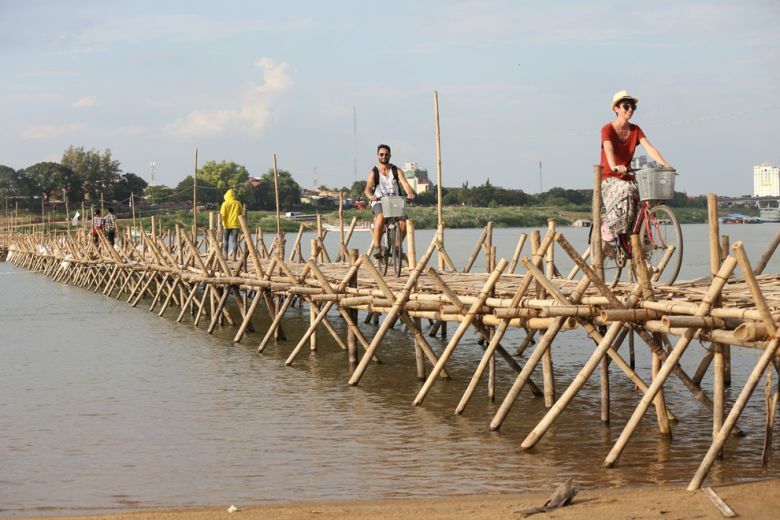 Yung Oun, the owner of the old bamboo bridge, told The Post that it served as a major tourist attraction in the province, for both local and international visitors, so the loss of the bamboo bridge signalled a loss of money for the area too. To avoid this, last year enterprising locals decided to keep the tradition alive on a smaller scale by building a tourist friendly, pedestrian only bridge as a replacement. “Last year, our new bridge was only 700 metres. 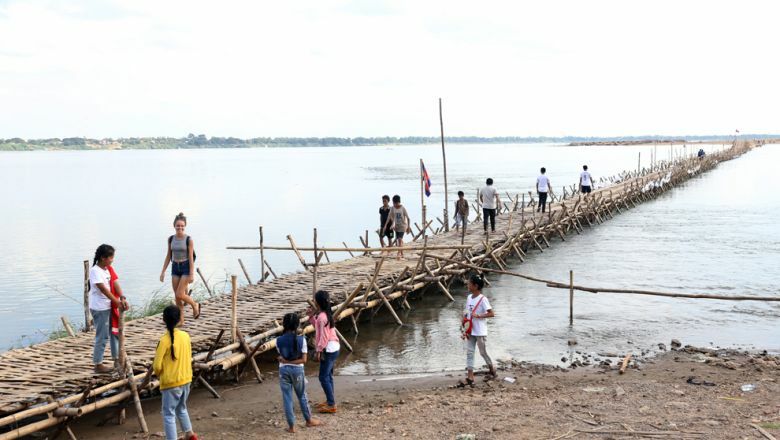 This year, we will construct it up to 800 metres,” said 60-year-old Bun Dara, a former Institute of Technology of Cambodia engineer and owner of the new bamboo bridge. The bridge, built using more than 20,000 bamboo sticks, was officially opened on December 1. It is open from dawn to dusk, including weekends and holidays. “On a normal day, I see about 30 to 50 people walking across the bridge,” said Dara. To cross the bridge, pedestrians cost 2,000 riel, a motorbike costs 5,000 riel, a vehicle or tuk-tuk costs 10,000 riel and a larger vehicle costs 20,000 riel. annual human migration, which is currently underway. second spot, followed by Taipei. The results are based on hotel booking data on Lunar New Year dates for 2019.
between January 21 and March 1, an increase of 0.6 percent from 2018.
the year of the pig, the 12th and last position on the Chinese zodiac. In general, Pigs are born in the years 1935, 1947, 1959, 1971, 1983, 1995, 2007 and 2019. A hidden beach 100km from Yangon offers muddy wades and fresh fish. You are in a deserted Yangon and haven’t planned anything for the break, but adventure is still out there. Most of Myanmar’s beaches are several hours away by car, but one hidden gem awaits just about 100 kilometres from Yangon. Ale Ywar beach, also known as Sal Eain Tan Let Khok Kone, is the ideal spot to go on a mini-break and enjoy some crustaceans – it has one of the best and freshest seafood I have ever had. Ale Ywar is in the Mottama Gulf, in Yangon Region. It is a few kilometers away from Let Khok Kone beach. That name probably won’t ring any bells, but Let Khok Kone was a resort opened by the military government in the 90’s. And like many projects from that particular era, it failed. Today, bushes have reclaimed the installations created to welcome families. The resort is surrounded by mud from the delta. Everything is closed there. Meanwhile, Ale Ywar is booming. My husband visited it two years ago, he and his friends were the only ones there. Today, the beach is buzzing with shops and restaurants. Parking is full of cars, and the sea is full of swimmers. The boom started in 2016, during the Buddhist water festival, a synonym of national holidays. This was short-lived though. With the rain, shops closed. This year though, the flow of tourists seems to keep the local economy afloat. The beach itself is a natural treasure. It is almost untouched and has not been developed yet. It is entirely owned by the villagers, and restaurant owners rent the spaces and have cleared up the lands. It isn’t a white sandy beach though. The sand is almost brown and turns into mud as you get closer to the water. We were there during low tide and the earthy beach stretched off into the distance. You’d think it’s dirty, but it wasn’t. The mud was soft and most pleasurable to walk on – my 3-year old daughter enjoyed it too. She went a-splashing in it and ended up covered head to toe in mud – a proper mud bath spa for free. Choosing a restaurant is not the most difficult thing. There are only about five – and they all looked the same to us. We opted for “Yangon”. The menu only included seafood and do not expect an amazing chardonnay to go with it. The list of beverages is limited to beer and soft drinks. Surprisingly, the seafood is not cheap. The law of the market usually commands that if you consume locally, the bill goes down, but here the owner explained that getting the fishermen to sell their catch is rather difficult. They have contracts with shops and supermarkets in Yangon who by everything in advance. The seafood is worth the price you’re paying for it though. We ordered a sour and spicy crab curry (K8000 for four pieces), a sautéed fish called Nga Tha Laut Owe Mhauk (K15,000), fried prawns (K15,000 for 10 pieces) and a small dried fish salad for K 2000 a bowl. A plate of steamed rice cost about K500, and wasn’t impressive. One beer cost K 3000 for a bottle, which is a tad pricier than in town. And a single coconut was K1000. The shop does not have a proper menu – the staff simply hangs a list on the wall with the catch of the day written on it. Tourists beware: the price isn’t written on it. The setting is so informal that you can go to the kitchen to check how fresh the fish is and pick your own. We saw a group of guest sitting next to our table checking the fish and told them what to cook for them. They all looked happy when a waitress brought them fish curry. Nothing is prepared in advance; the chef cooks everything on the spot. If it was not for the trace of MSG (a flavour enhancer commonly added to Asian food), the curry would have been perfect. Unlike Ngapali or Ngwe Saung beaches — the two most popular beaches for Yangonites — there is no official committee controlling the hygiene of restaurants on Ale Ywar. The shop owners buy purified water from the village nearby. At K200 a bucket, it most probably uses it sparingly. There are showers at the back of the restaurants and you can buy a bucket of yellowish water for K500. No soap or towel is provided. I suggest taking a barrel of water in your car ahead of departure, or not wash at all. If you are too picky, don’t waste your time in Ale Ywar. If you like an adventure but do not have the time to go too far, you’ll find gold in the mud there. 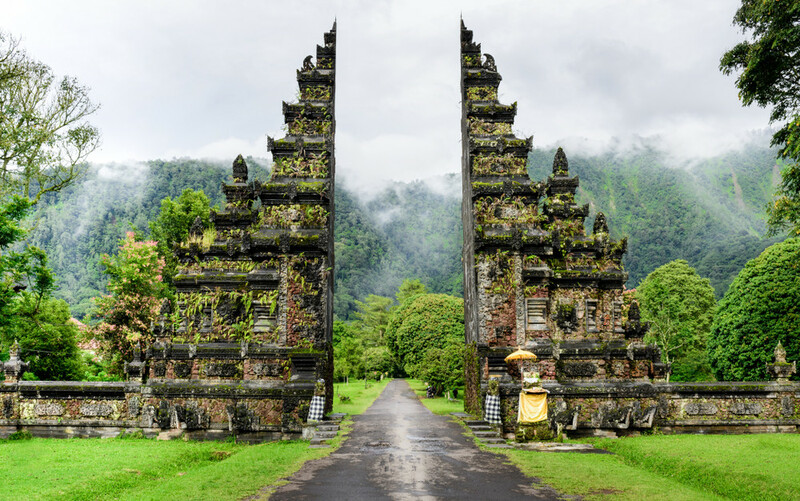 British guidebook publisher Rough Guides has included Indonesia in its list of the world’s most beautiful countries – and quite high up, too. The ranking was updated on Jan. 4 based on Rough Guides’ readers voting on social media channels. This was not lost on President Joko “Jokowi” Widodo, who hailed the achievement with a video shared on his Instagram account. beautiful country in Asia,” Jokowi wrote in the same post. Tenggara, and orangutans in Kalimantan. “Rough Guides’ polling strengthens Indonesia’s position as a world-class tourist destination,” said Jokowi. Here’s the full of the world’s 20 most beautiful countries, according to Rough Guides readers.